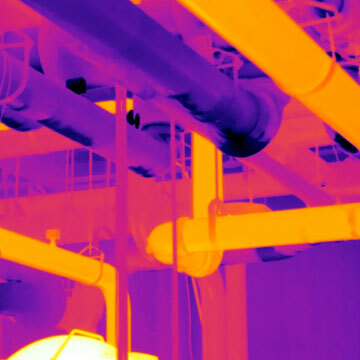 At Infrared Systems, we strive to provide our clients effective and innovative solutions for predictive maintenance applications, condition monitoring, non-destructive testing, process control, temperature measurement and building science applications. Mining Specific Thermography Certifications now available in Elko, NV! Electrical and mechanical equipment tend to heat up before they fall, hiding from sight until a problem becomes "self-evident". Fortunately, thermal imaging cameras instantly make those hot spots clearly visible so you can catch them in time to investigate further and plan repairs before they turn critical. 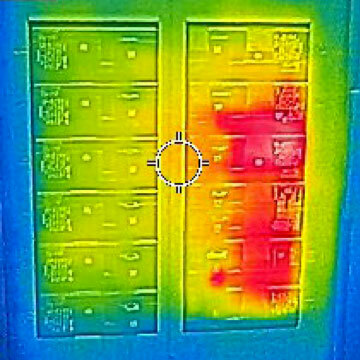 Scan electrical cabinets, breaker panels, fuses, switchgear, pumps and motors with a thermal imager and get an instant picture of impending trouble that you likely would miss otherwise. FLIR thermal imaging cameras are ideal for a wide range of automation applications when flexibility and unequaled performance are vital such as in automated inspections, process control and condition monitoring combining thermal and visual cameras in small, affordable packages, providing continuous temperature monitoring and alarming for uninterrupted condition monitoring of critical electrical and mechanical equipment. 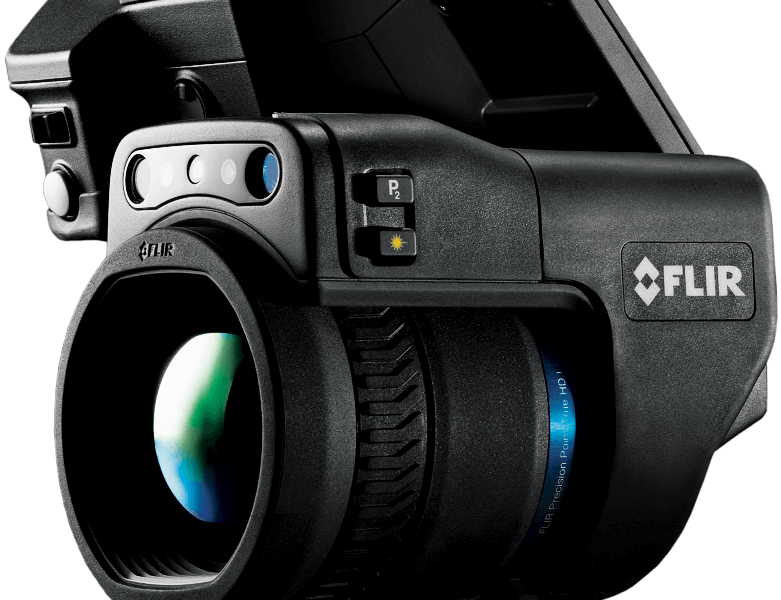 Meet the new next generation FLIR ONE Pro thermal cameras. When connected to a smartphone, the FLIR ONE allows you to see the world in a whole new way. 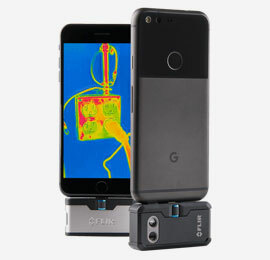 Whether you're into outdoor adventures and DIY home repairs, or are a hardworking professional looking for the convenience of a thermal camera that goes everywhere you do, there's a FLIR ONE Pro for you with advanced image processing that brings out more detail in every image, so problems won't go undetected. Plus, they're proof of a job well done. 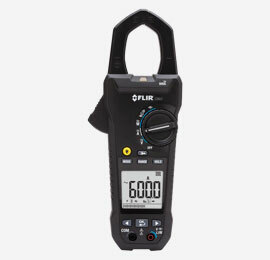 If it can be measured, FLIR has a tool for the job with multimeters, clamp meters, insulation testers, voltage detectors and horoscopes. And now introducing the power of "Infrared Guided Measurement" (IGM) together with a range of electrical measurement features, so you can visually identify electrical problems and solve complex issues quickly. With IR resolutions up to 19,200 pixels, you'll see temperature differences that indicate the start of electrical faults before they become serious issues. 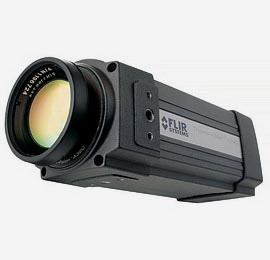 FLIR Systems, the global leader in thermal imaging, designs, develops, manufactures, markets and distributes innovative sensing solutions through thermal imaging, measurement and diagnostic systems and building science solutions. FLIR products improve the way people interact with the world around them, increase energy, Manufacturing and process efficiencies and enhance public safety. 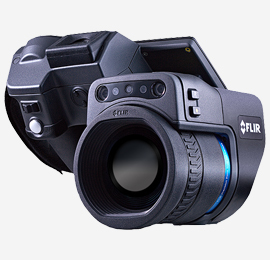 Infrared Systems is a FLIR Systems Platinum Partner offering a wide selection of predictive maintenance, condition monitoring and non-destructive testing solutions. All Infrared Systems associates are Level II thermography certified and experienced with FLIR thermal imaging solutions and applications. 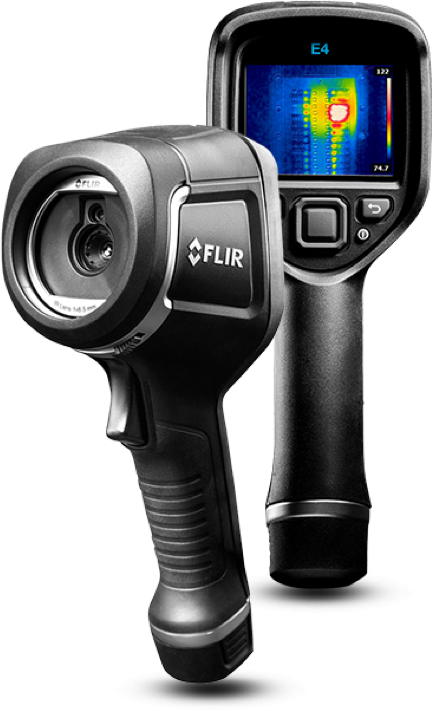 We provide on-site demonstrations, training and support as long as you own your FLIR IR camera. 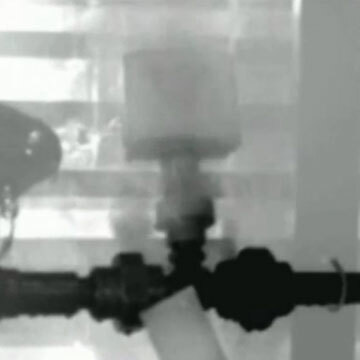 Infrared Systems has for the past 20 years been offering contract inspections for the manufacturing, mining, energy exploration, construction and petrochemical industry. Inspections include on-site inspections with follow-up reports including anomalies detected and recommended repair suggestions.